Hey dog owners, looking for peanut butter dog dessert recipes to give your dog a treat? 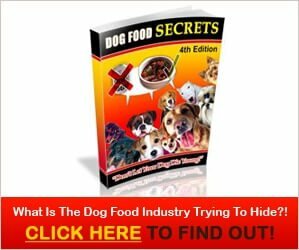 I have here 3 delicious peanut butter dog dessert recipes. Making your own snacks and sweet treats for your pooch has plenty of benefits. One is that you are in control of the ingredients that are used, making sure that your pet is only getting nutritious food. Almost all store-bought treats have preservatives that extend shelf life, byproducts and fillers that have no nutritional value. 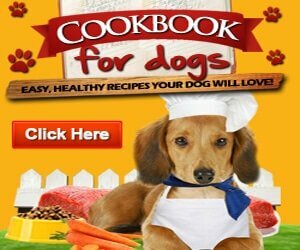 You can also tailor the recipes according to your dog’s dietary restrictions, age and taste preferences. Mix together egg, whole wheat flour, peanut butter, oats, 1/3 cup vegetable oil, water and honey in a stand mixer. Beat until a stiff dough is achieved. Pat out dough to about 1 inch in depth on a clean surface and cut out cookies using desired shaped cookie cutter. Place in cookie sheets lined with parchment paper and cook on a pre-heated oven (350F) for 30 minutes, flipping once halfway through. Set aside to cool. Melt almond bark and 1 teaspoon vegetable oil in the microwave, stirring constantly until smooth. Dip cooled biscuits halfway on almond bark and lay on parchment paper. Decorate with sprinkles. Mix together banana, peanut butter, greek yogurt and almond milk in a blender and pulse until smooth. Pour mixture into muffin tins and freeze solid in the refrigerator. When ready, remove from the refrigerator and allow to thaw slightly for a couple of minutes. Remove from muffin tins, stack and serve. In a large bowl, mix flour and baking powder then stir in egg, applesauce, peanut butter, honey, water and vanilla extract until mixture is well blended. Fold in the carrots. Fill cupcake liners with 2/3 full of the batter and bake in a pre-heated oven (350F) for 15 to 20 minutes. Top with plain greek yogurt with carrot shreds if desired. Try these yummy doggie dessert recipes for your pooch even when there’s no special occasion! If you enjoy the 3 delicious peanut butter dog dessert recipes post, share it on facebook and pinterest.